Click the button below to add the Andes Mint Chocolate to your wish list. As the number one after-dinner mint, Andes Crème de Menthe delivers a smooth blend of mint and chocolate flavors–the perfect post-meal treat. The iconic, rectangular three-layered candy‚ green mint sandwiched between two thin cocoa-based layers‚ became instantly popular after its 1950 launch, and it has remained an American favorite ever since. The individually foil-wrapped, bite-sized pieces enhance any social gathering or event, yet remain equally popular as self-indulgent treats. Andes Candies was founded in Chicago, Illinois in 1921 by Andrew Kanelos. Originally called Andy's Candies, the business produced a variety of boxed chocolates which it sold from a small Chicago storefront. The business grew to include 150 stores. With the expansion of the business, a factory was built to supply the stores, and the name was changed to Andes Candies. 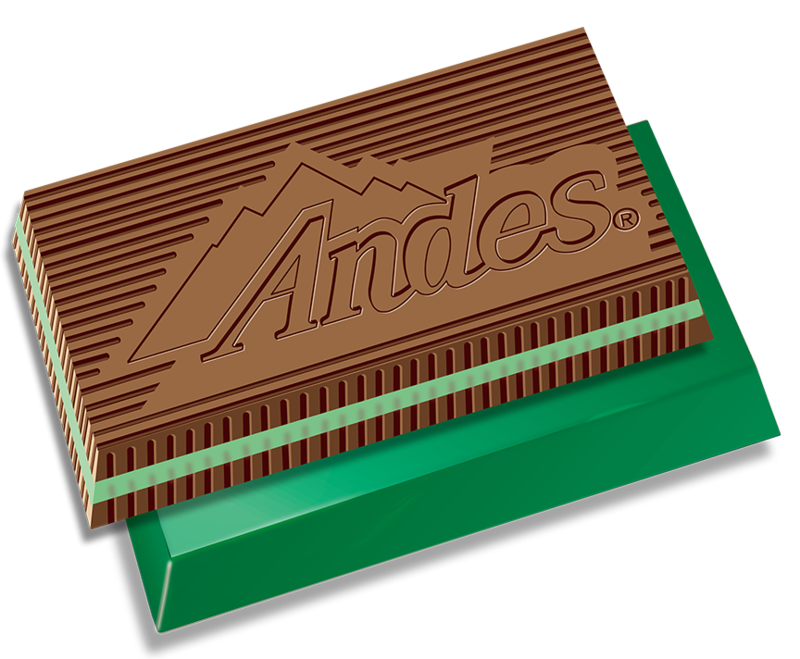 In 1950, the Andes store product line was increased to include the Crème de Menthe candy piece. This three-layer mint has remained the cornerstone of the brand. Today, this delicious and refreshing candy is the number one selling after-dinner mint.